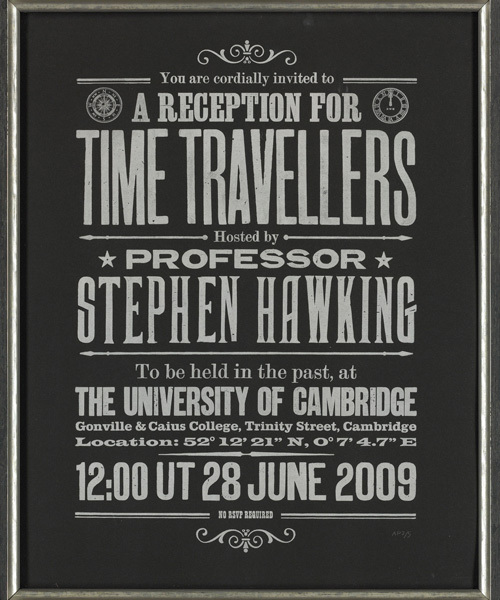 in 28 june 2009, late professor stephen hawking held a reception at the university of cambridge, attended by no one but himself. it may had something to do with the fact that the invitations were only printed and shared four years later, but even so, the gathering was only open to time travelers, disappointingly proving that traveling through time was not possible. 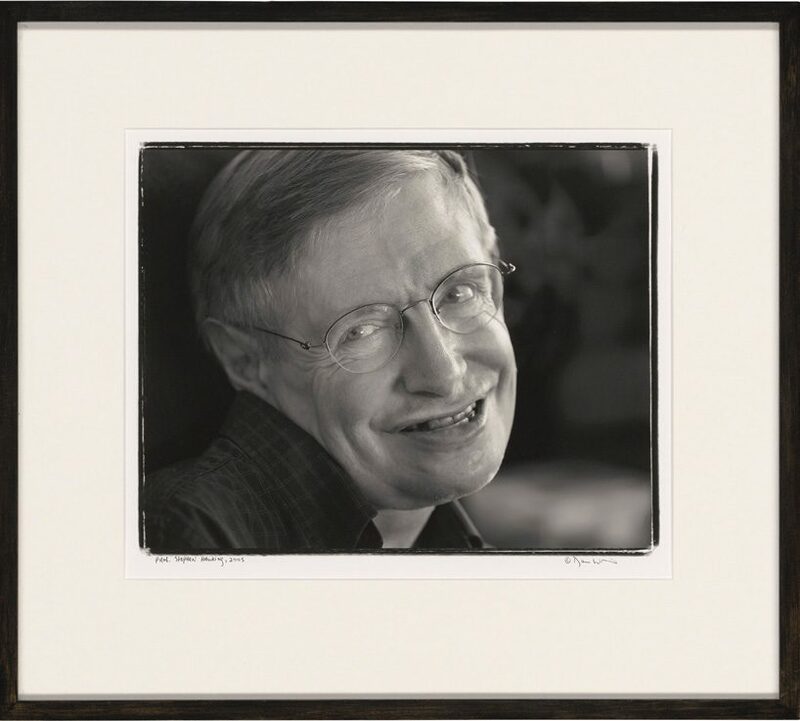 now, christie’s offers a chance to future time travelers to prove otherwise as it’s currently auctioning one of the only five artist’s proofs printed in 2013 at new north press, london. 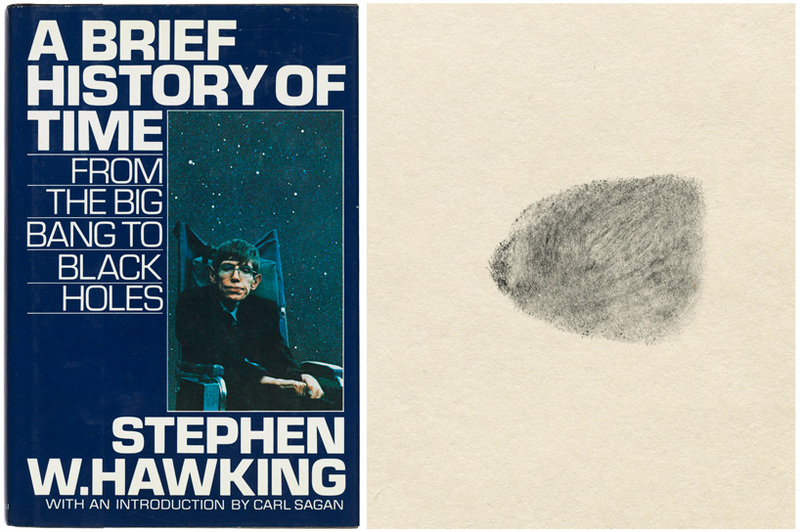 ‘I’m hoping copies of it in one form or another will survive for many thousands of years. 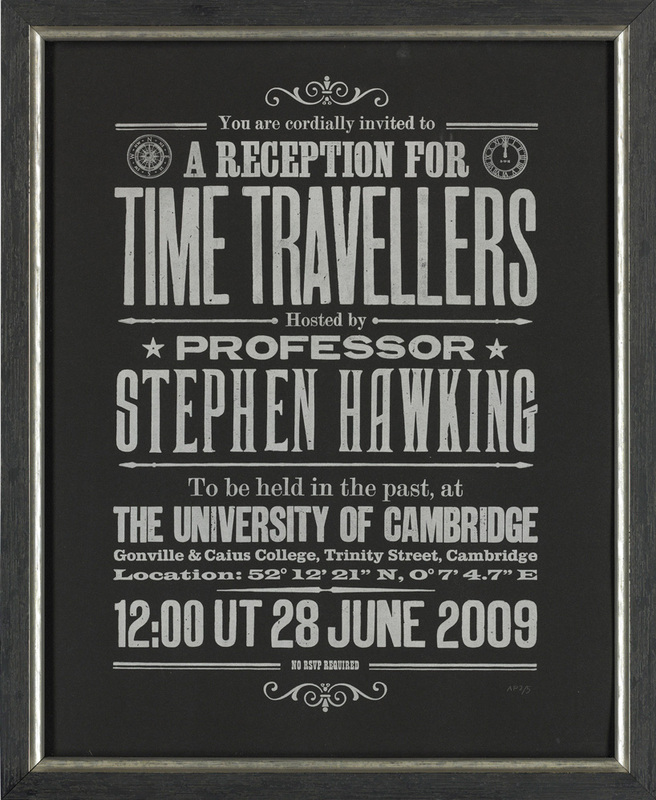 maybe one day someone living in the future will find the information and use a wormhole time machine to come back to my party, proving that time travel will, one day, be possible,’ said stephen hawking of the invitation, which later inspired his family to also invite time travellers to his memorial service. 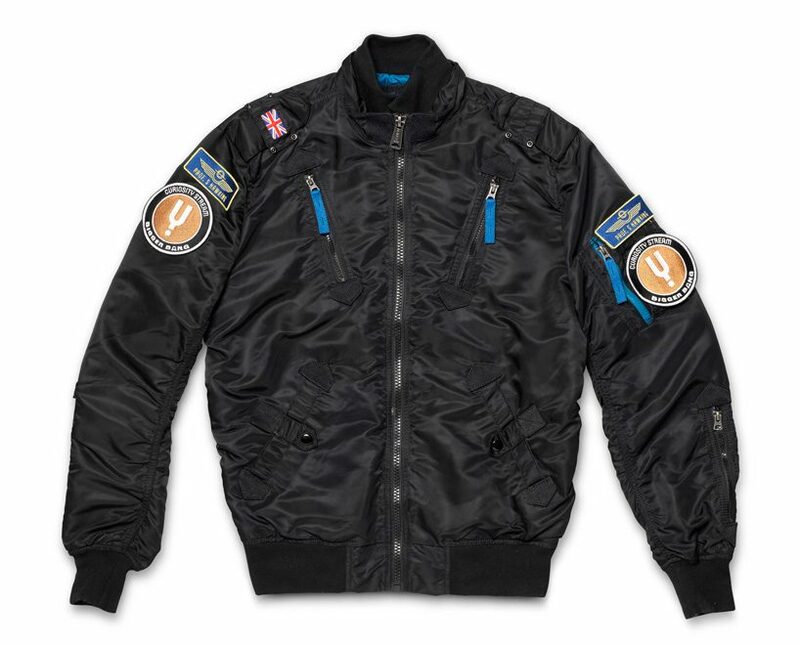 the print is being auctioned together with a number of other items from the professor’s estate, among which his alpha industries bomber jacket, a first american edition of his book a brief history of time signed with his thumbprint, one of his favorite portraits of himself, and several papers.